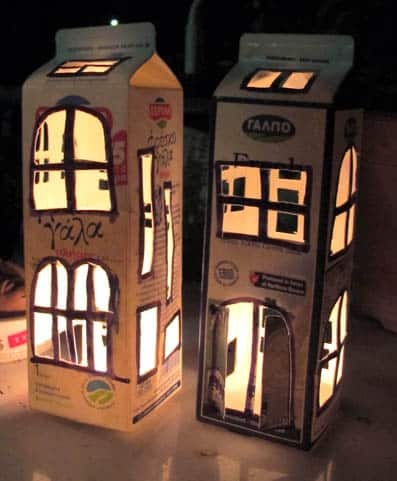 I made these "light houses" from used milk boxes. The little secret is that you have to make many little openings so the plastic inside will not be burned. 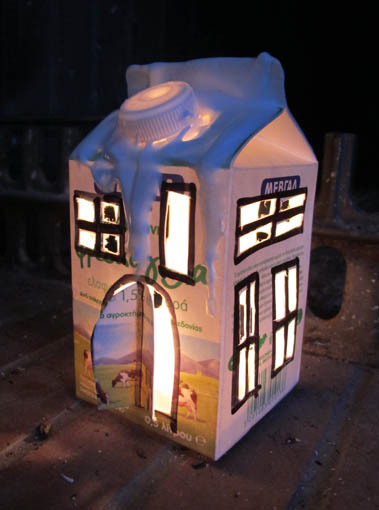 You could also use the candles operated by batteries, then no worry of the houses getting too hot! Love this idea.